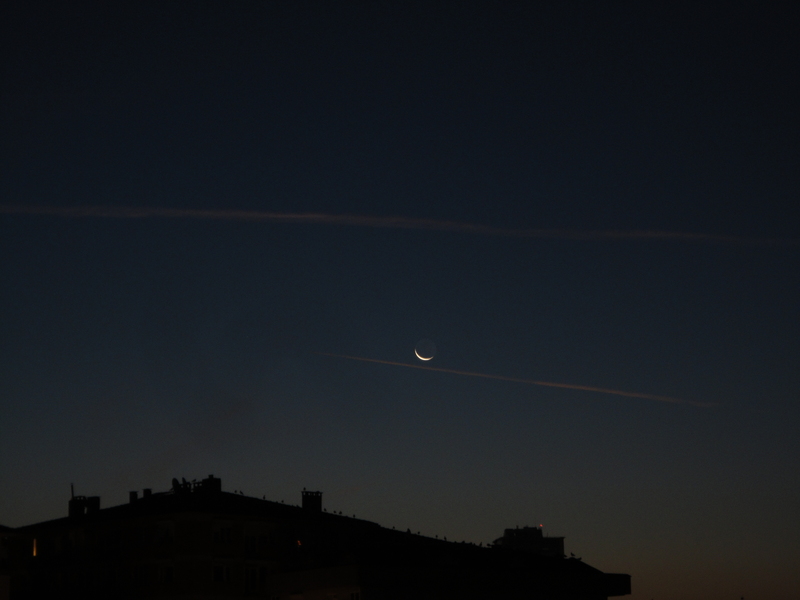 Recent mornings, looking out my window before dawn, I have seen the moon wane narrower and narrower. I suppose today was the last morning it will be seen for a few weeks. 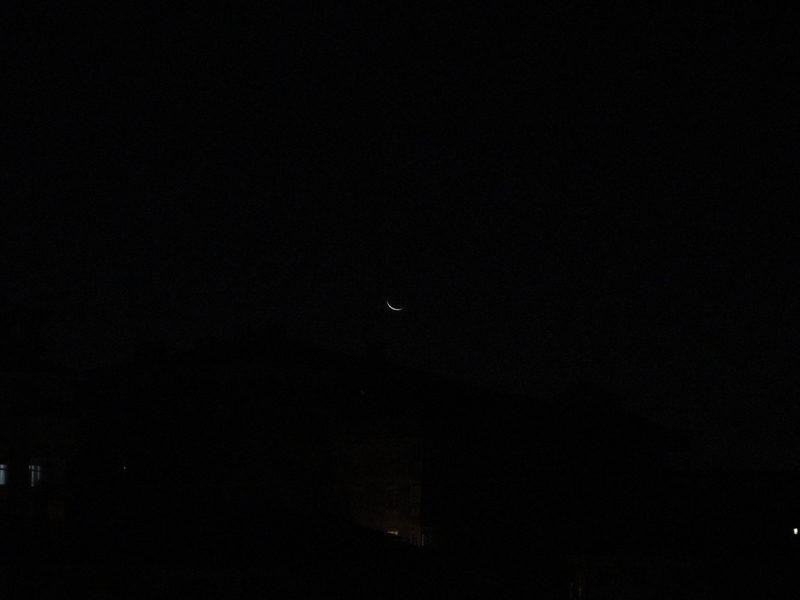 Time on the first photo is 6:26, daylight savings time in Istanbul, a few minutes after the prayer call from the mosque down the street. I had been sitting at the window, investigating (under electric light) the connection with music of the theory of numbers in Euclid’s Elements. The next photo is from 6:40. You can see the seagulls sitting on the roof. Finally, at 6:48, the seagulls are on the wing. It is coming to be the time of year when the morning sun is welcome to shine through my window. 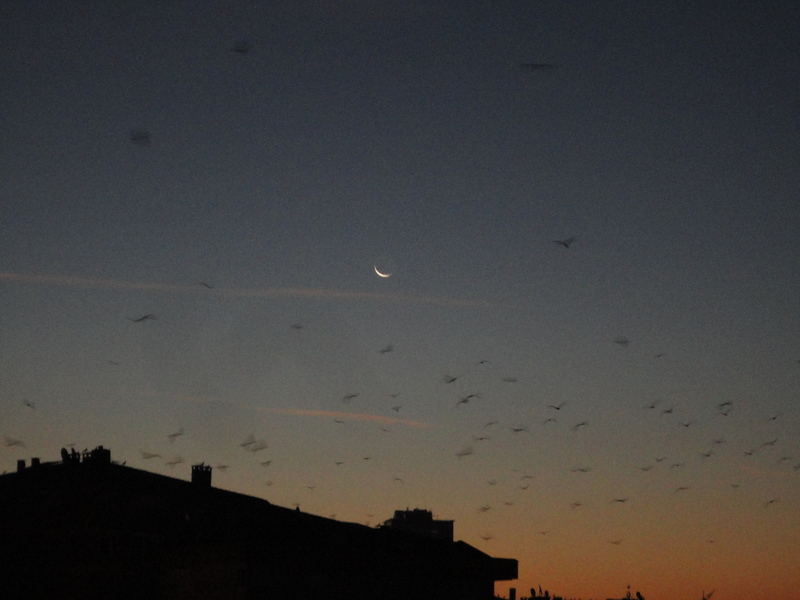 This entry was written by David Pierce, posted on October 22, 2014 at 4:10 pm, filed under Istanbul, Nature and tagged 2014, moon, moonrise, seagulls, Sun, sunrise. Bookmark the permalink. Follow any comments here with the RSS feed for this post. Post a comment or leave a trackback: Trackback URL.